As a former insomniac, I’ve searched for years for recordings to help me get to sleep, or get back to sleep. 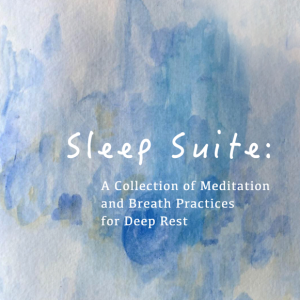 I’ve created these 7 tracks to soothe, relax, and restore anyone who finds themselves in need of sleep’s powerful healing qualities. I’ve successfully taught thousands of people to sleep better, including individuals with severe PTSD, other trauma conditions, severe anxiety, and chronic insomnia. 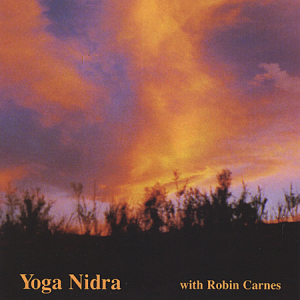 The first track, iRest Yoga Nidra for Deep Rest, contains most of the shorter tracks in the collection. You may find you like one or more of the segments of that longer practice on its own, so I made them their own tracks. iRest is a research-based approach that helps activate the parasympathetic nervous system. It has helped thousands of people to sleep more soundly, lower anxiety and depression, lessen chronic pain, and improve mood regulation. All the tracks focus on body sensing and opening up the focus of attention wider, thus shifting your brain waves, activating the nervous system’s parasympathetic “rest and restore” channel. Each of the tracks finishes open-endedly. That is, my voice doesn’t say “its the end of the meditation”, because many people find this wakes them up. 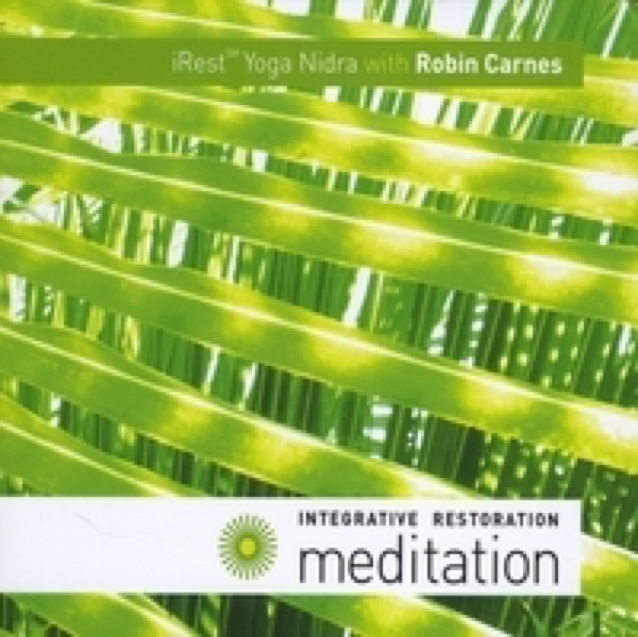 iRest℠ yoga nidra is a transformative guided meditation practice that fosters the health and well-being of body, mind and spirit and requires no prior meditation experience. CD Tracks can be arranged on a playlist to customize your meditation experience. well-being. This CD contains 10 tracks. The first track is introductory and can be skipped as soon as you are familiar with it. All the tracks can be listened to each time you practice, or you can create a “playlist” of specific tracks you want to focus on, depending on intent and time availability. Once you get to know the practice, feel free to experiment with and customize the use of the CD to suit your needs. iRest℠ was first researched in 2006 by the US military with service members returning from battle with combat stress. It is currently being researched by the Veterans Administration. and other healthcare organizations, and is being used in a growing number of military and civilian organizations with people who have PTSD, depression, substance abuse, chronic pain, and sleep problems. Yoga Nidra is an ancient, powerful form of guided meditation that induces healing of the body, mind and spirit. This CD contains two soothing guided meditation practices anyone can do. Relaxing, transforming, easy, restorative, healing. Regular practice of Yoga Nidra is a healthy, life-supporting habit that rests, restores and renews. Offering the opportunity to effortlessly process and release years of accumulated tensions, Yoga Nidra can help address chronic pain, depression, PTSD, anxiety and other conditions. 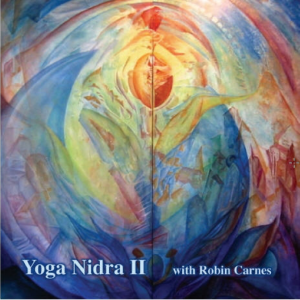 Yoga Nidra is as accessible and beneficial for experienced meditators as it is to those completely new to meditation practice. To practice Yoga Nidra, simply lie down or sit in a comfortable supported position and respond to the instructions without strain. There is nothing to force or accomplish and everything happens by itself!